Brew Your Own Magazine (BYO) - Subscribe and support the blog! With more than 600 posts on this site it can be a bit overwhelming, here are a list of some of the more in depth, interesting, and well done posts I have made since starting this blog. If I'm missing some that you think would be worth adding, let me know. 10 Homebrewing Myths Debunked - There is a lot of misinformation about homebrewing ingredients and processes. 11 Tips for Better Hoppy Beer - Includes general process tips that will make your hoppy beers taste fresher and hoppier. All About Brettanomyces - A survey I completed for Greg Doss for an NHC presentation he was working on. It gives my general thoughts on brewing with Brett. Pair that with Hop Oil Analysis. American IPA and Hop Bill Analysis - A list of the hops used in some of my favorite IPAs, and a bit of analysis on how commonly the various hop varieties appear. Anatomy of a Clone - The Lost Abbey's Cable Car - My most ambitious clone and the thought process that went into creating the recipe. Book Reviews - Links to all the brewing book reviews I've written. Brewing Lambic: Mythbusters Style - Lambic brewers follow a complex process, but do they have to? Brewing Sour Beer at Home - My thoughts on brewing, fermenting, aging, and bottling sour beers. Capture Your Own Microflora - Make a starter from the wild yeast and bacteria in your local air. Designing a Beer Recipe in 10 Steps - The process I go through every time I create a recipe. Fire-Pit Gruit - A day spent brewing a beer without hops over an open fire. Harvesting Sour Beer Bottle Dregs - A list of commercial beers that have harvestable wild yeast and/or bacteria. Homebrew Water Treatment – A Practical Guide - When I want to adjust my water for brewing, this is how I do it. How To Homebrew : All-Grain Beer - A guide to the basic methods and equipment I use to brew beer. Maintaining Microbe Cultures - How to keep cultures of Brett and lactic acid bacteria on hand and ready to pitch. Mistakes Every New Homebrewer Makes - A list of suggestions on how to avoid common pitfalls for the first time brewer. Treatise on Oaking Homebrew - The general theory and practice behind my use of oak in homebrew. Testing the Alcohol Content of Ice Concentrated Beer - A day in AJ's lab running the test to figure out just how much alcohol EisAdam contained. Session Ale Brewing Tips - A series of suggestions for brewing better low alcohol beers that maintain the flavor and body of the strong beers everyone loves. Why Sour Beers? 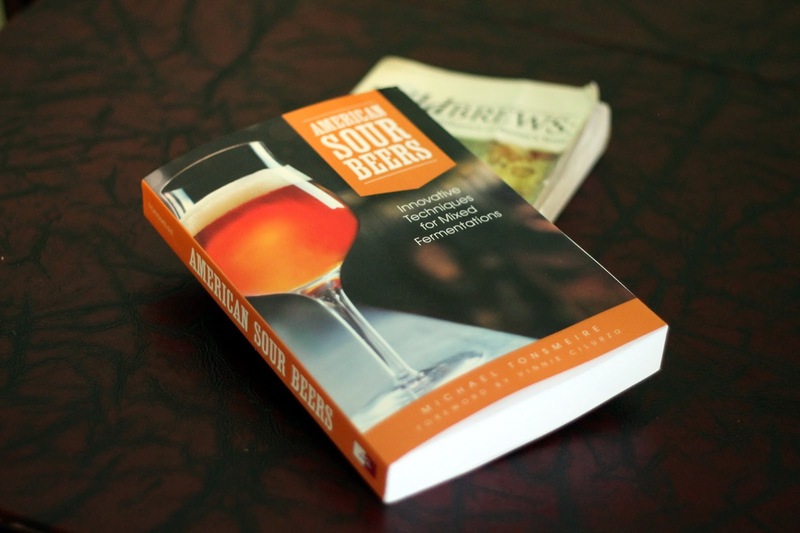 - An article I wrote for HomeBrewTalk about why I love brewing sour beers so darn much! Craft Commander - December 3, 2015 - Michael Tonsmeire "The Mad Fermentationist"
Good Beer Hunting - January 28, 2019 - So, you opened a brewery. Now what?